Over at Splitcoast today, we’re doing the sketch challenge. The focal point is a digital image from Sugar Nellie. Isn’t she just the sweetest? These images are very easy to color as the shading is already done for you. It’s been colored with Copics and then I sponged the edges while it was still in the die. 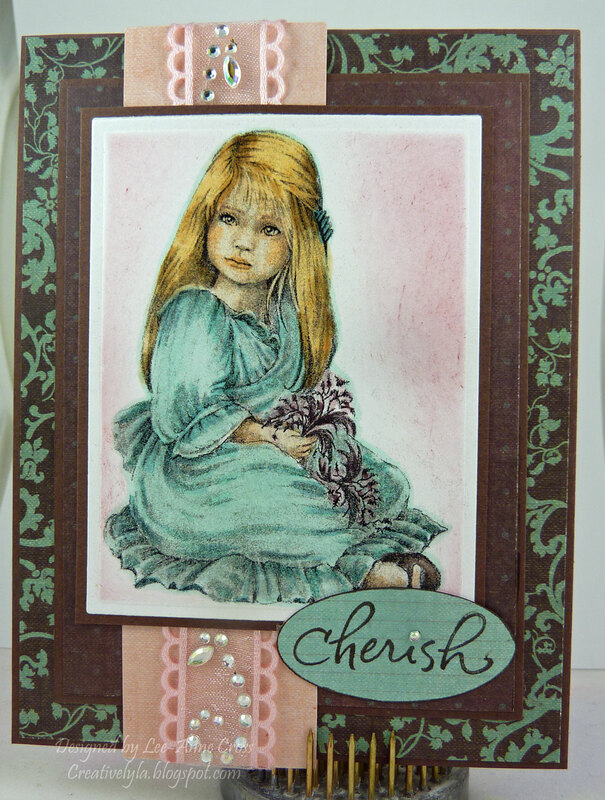 I layered a piece of pink ribbon over top of a piece of designer paper in behind the image and added some bling. The sentiment has been stamped on another piece of paper from this same series and I edged it with a marker and added one little rhinestone for the dot for the “i”. I saw your gorgeous coloring on SCS and had to come check out how you colored her..I am really impressed!! Thanks for sharing this beauty!